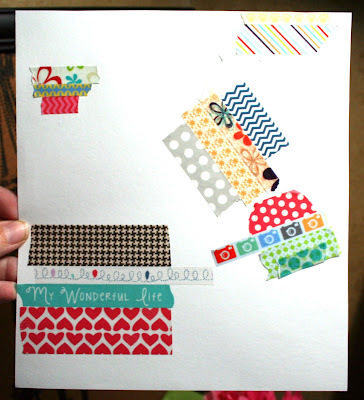 Looking for the Lily Bee Design Birthday Blog Hop? Check out my new sketchbook below and then click HERE to continue to the hop. I'm excited to show you my new sketchbook that I LOVE soo much, I'm too afraid to use it. Seriously. I got this chipboard notebook at a business conference I went to almost a year ago. I knew I'd never use it as-is but I saved it because I knew I'd eventually be able to re-purpose it. Liz asked me to create a project using the Little Yellow Bicycle vellum tape. 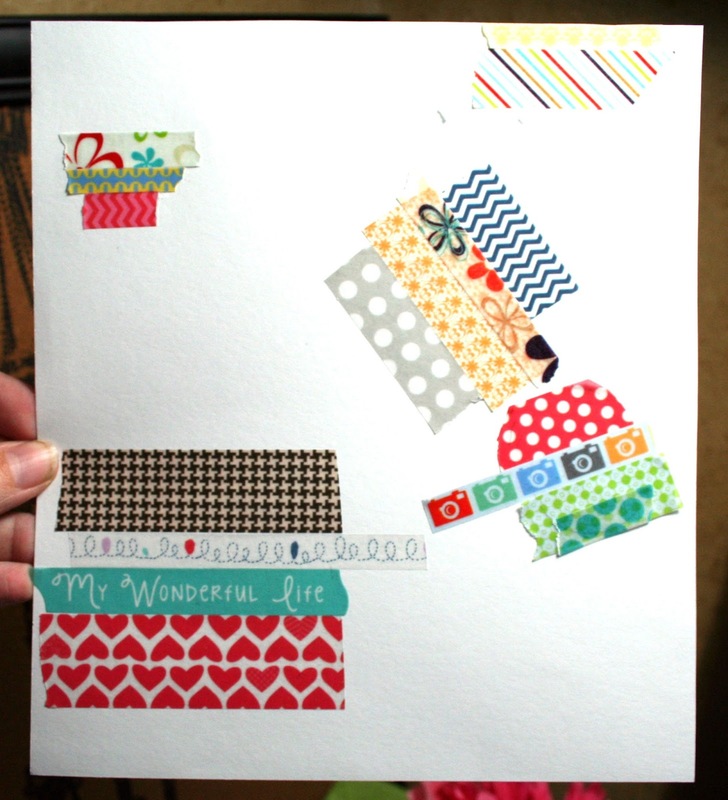 I had lots of fun ideas on how I could use the vellum tape (kind of like washi tape but slightly thicker and just a bit stickier) on a layout but I really wanted to push myself to create something a bit extra-ordinary. Here's what I created. How about I show you how I made it? It started out looking like a plain ole chipboard journal.I then drew different sized circles on the chipboard and enlisted my hubby to drill the holes with his drill press. Isn't he great? I had to file down a few of the insides of the circles and I was ready to go. Then, I just layered the vellum tape over the cover, carefully matching the colors together. Next, I cut a white sheet of paper the same size of the inside front cover of the journal. 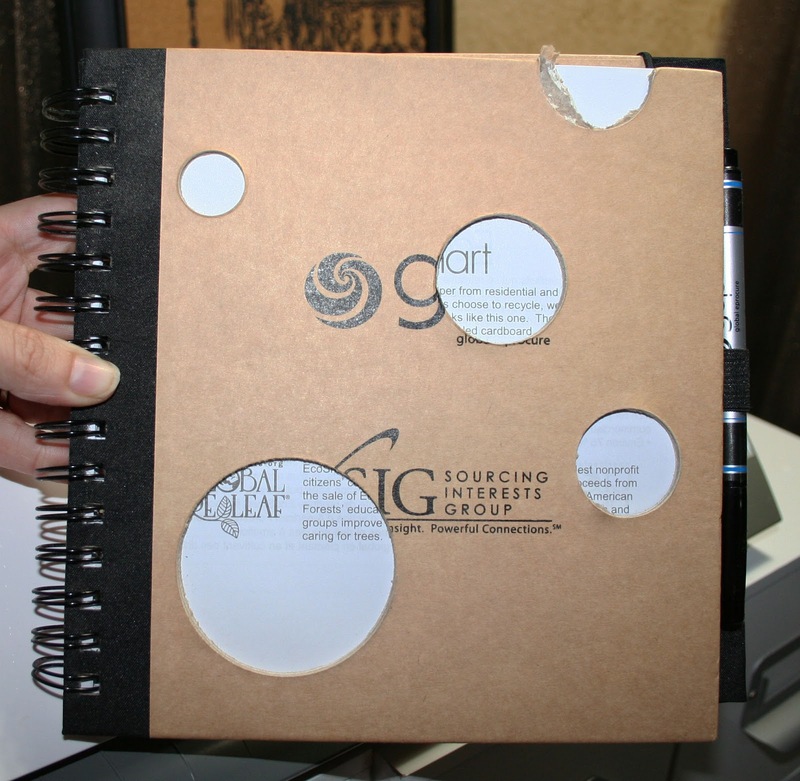 I placed it in the inside, closed the cover and traced the circles. Then I added the vellum tape in varying directions from the pattern on the cover. I especially like the vellum tape with the sentiments. I used "Wonderful Life". Once I had the cover done, I decorated the first page as well as the pen. Oh and I made little paper clip markers with the vellum tape too. So whattaya think? I'm in love with it but like I said, I'm too afraid to use it. Thanks for stopping by today! Head over to the Little Yellow Bicycle blog to see what Jen and Lisa did with the vellum tape. You can also get the vellum tape from the Little Yellow Bicycle website! Wow! I love this! So colorful and you even put the tape on the pen. How cool is that! 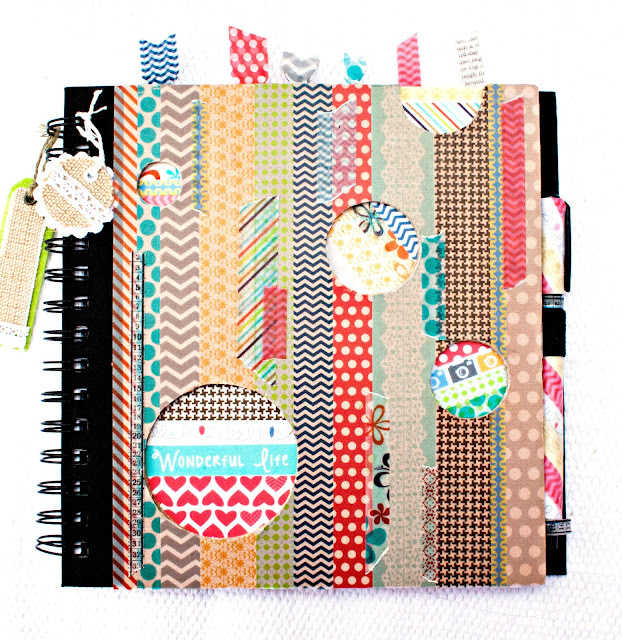 Adorable journal. I love the use of all styles of washi. LOVE this - especially how you took things a few steps further and created matching accessories! So cute!!! awesome idea! 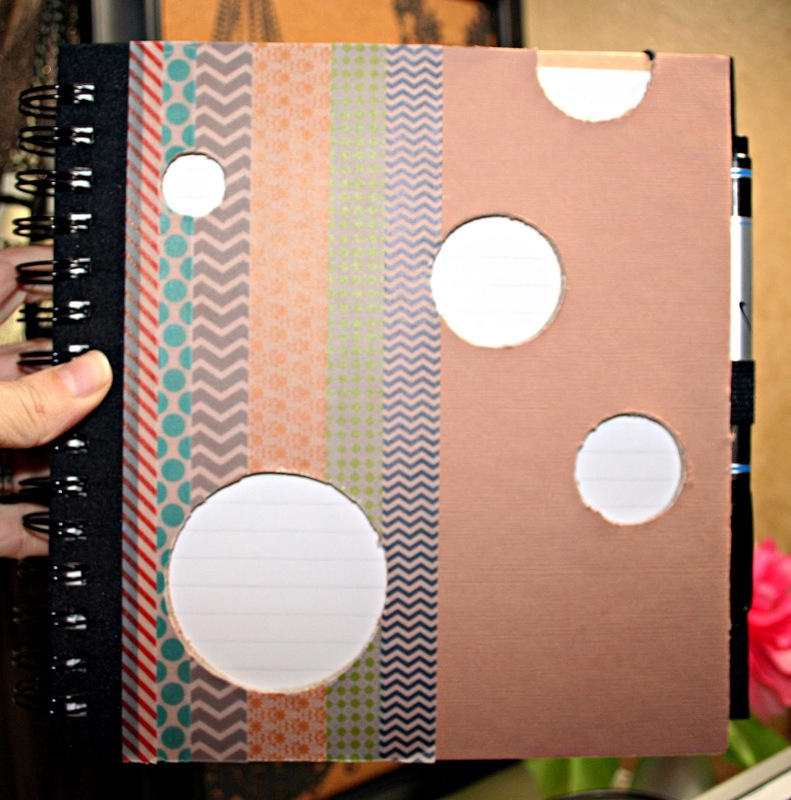 Love the drilled holes "look"~Very orginal idea!!! Beautifully done!! I love those peek-a-boo holes on the cover! 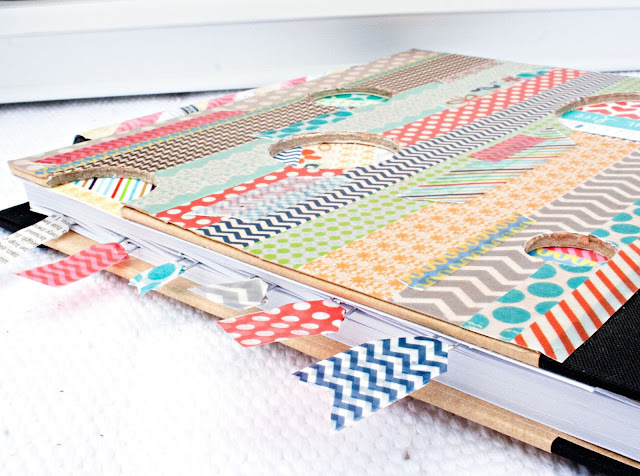 This is a super cool book you made...love how you layered and backed the cover with the tape. awesome idea. Very clever and fun! I especially like the pen...those would make great gifts! 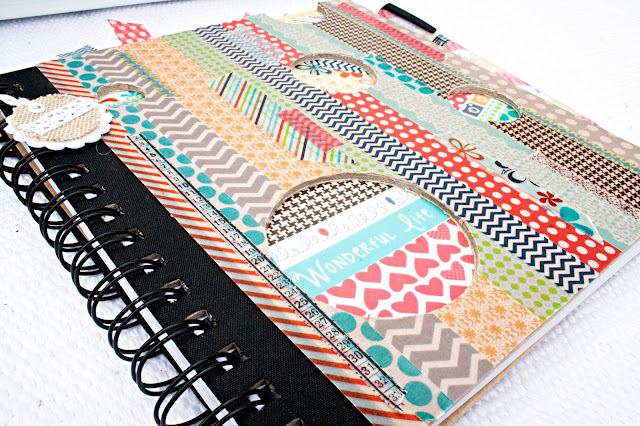 what a CLEVER creation--LOVE all the color and patterns together! oooh i love love love love it! the drilled circles and all the patterned tape looks awesome! Super cute! I love how the inside page has lots of white. But it's all just so bright and cheery! USE IT! LOL! I'm visiting you today from Craft-o-maniac. I hope you get a chance to stop by my blog and leave a comment, too! What can I say but wow oh wow! Yet another way to use that addicting tape! I love it. This is so cute. I just love to jazz up my notebooks. I'll be trying this one. 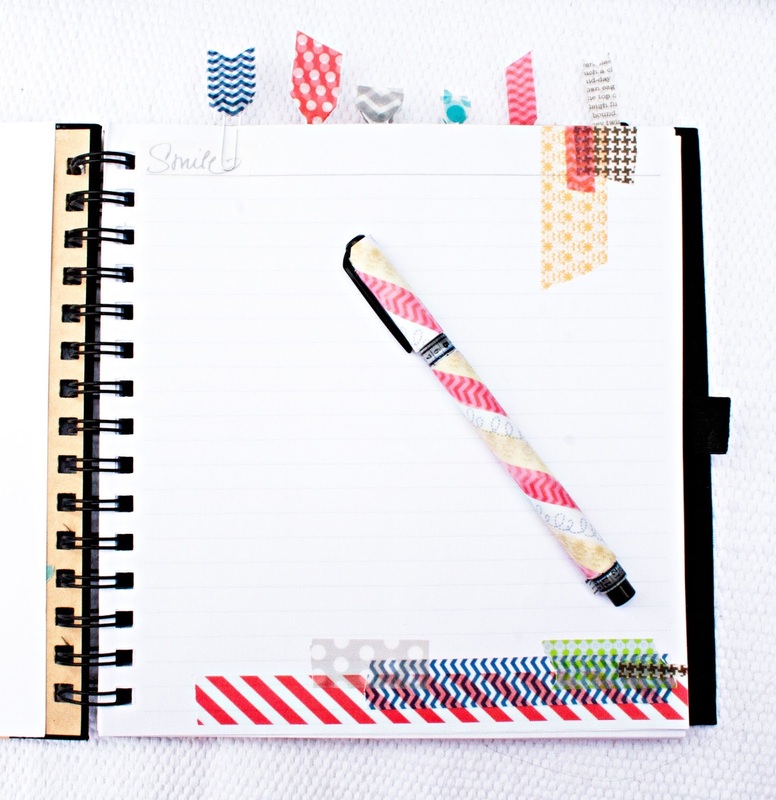 Love my washi tape.